While we lost one cage of oysters at Dorchester Yacht Club due to either a bad knot or frayed rope, we were heartily pleased with the survival we saw in the remaining crate. David Fields volunteered to help out and working together we soon had the data we were after. 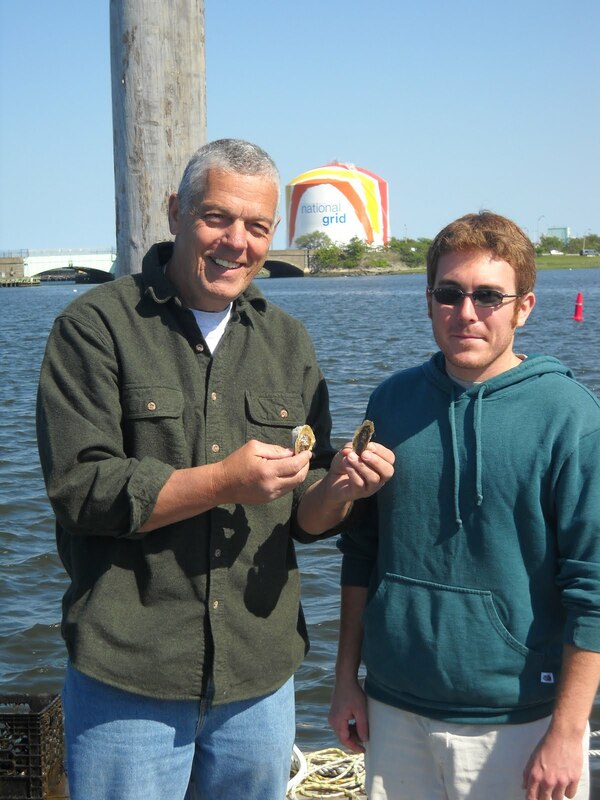 We had 299 living oysters for a 96.76% survival rate. 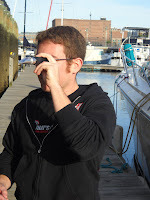 Below is David taking a salinity reading. It was 27 ppt. Normal seawater is around 32 ppt. 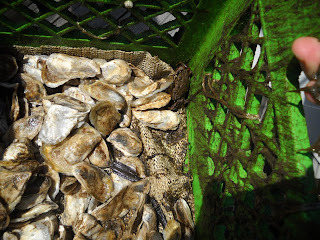 The oysters seemed healthy and there was two crabs and a silver fish in the crates with them. You can see one of the crabs in the upper right hand corner of the milk crate. 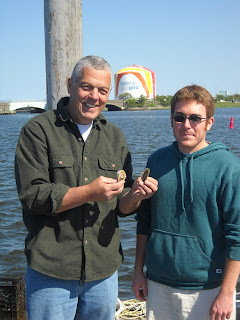 Below is a photo of David with the Vice Commodore Brian Taylor who is holding two of our bivalve friends. We cannot say enough good things about Dorchester Yacht Club. The people are friendly and nice. They are very protective of the oysters and truly care about Malibu Bay. While driving through nearby Savin Hill, moving and buying a small boat to keep at the club was a tempting train of thought.